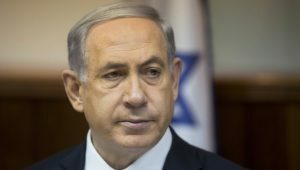 Israeli PM Rejects $40 Billion Aid Offer, Wants More – What About ‘Homeless Vets and Starving Children’? The state of Israel currently receives a staggering $3 billion a year in so-called aid, much of it for its military, which is then used to brutalize the Palestinian people in the form of a military occupation and a settlement apparatus of land theft that is illegal under international law. With the current agreement set to expire in 2017, Israel wants a raise. They are now asking for an estimated $5 billion a year over the next ten years, for a total of more than $50 billion. 5.3 million children lived in food-insecure households in 2014. Twenty percent or more of the child population in 38 states and D.C. lived in food-insecure households in 2013, according to the most recent data available. The District of Columbia (31%) and Mississippi (29%) had the highest rates of children in households without consistent access to food. Another element to this insane demand for money from a country supposedly in need is that Israelis enjoy free universal healthcare and education. American households incur billions in debt just so their children can be able to go to school. Moreover, many Americans continue to have no access to healthcare and Republicans are trying to kill Obamacare. It’s time for America to take care of its children, its sick, and its hungry. It’s time for America’s politicians to worry about America first instead of an ungrateful country that doesn’t require aid but rather needs to be stopped and sanctioned for its brutality against the Palestinian people. ← Your Kids Might Live on Mars. Here’s How They’ll Survive.